In the words of Bob Dylan ‘There is nothing so stable as change’. 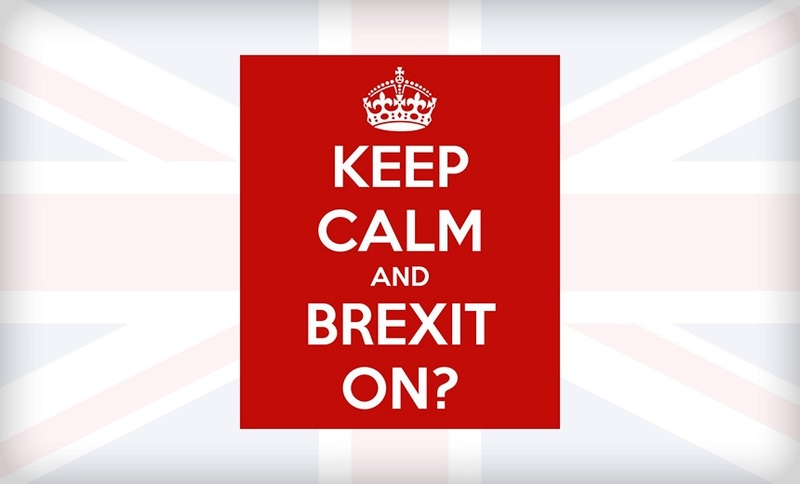 In our post Brexit world, change has become the norm; we are all coming to terms with our divorce from the European Union and the state of flux that has ensued. Even though we are facing a period of some uncertainty across the UK and Europe, here in Jersey our relationship with the EU is not going to change overnight. The HR sector both in Jersey and the UK will have to wait and see what happens as the negotiations begin. At this point in time there are no immediate answers just concerns and speculations. Goldman Sachs boss Lloyd Blankfein has said the bank respects the decision of the British electorate, while HSBC chairman Douglas Flint said that 'we are today entering a new era for Britain and British business'. Dixons Carphone Warehouse boss Sebastian James said: 'Feels strange and unsettling following the vote but we are the same, our company is the same, and our job is the same. Making people happy'. Tim Martin, founder and chairman of Wetherspoons: "The UK is in an immensely strong position/ The referendum result will enhance freedom and security. The UK will thrive as an independent country, making its own laws, and we will work with our good friends and neighbours in Europe and elsewhere to ensure a positive outcome for all parties". HSBC and Goldman Sachs all said prior to the vote that thousands of jobs in the City of London could be moved to the continent in the event of Brexit. Skills shortages or hiring freeze? A recent survey by the Recruitment and Employment Confederation revealed that just over half of UK employers predict skills shortages, with a lack of candidate availability expected in sectors including health, engineering and technology. The impact of the Leave vote remains to be seen, with REC predicting a possible hiring freeze as employers come to terms with Brexit. Graduate recruitment takes a hit? Some of the UK’s leading graduate employers anticipate a reduction in graduate recruitment due to the uncertainty. Among the most ‘at risk’ sectors are banking and finance, technology and retail, with up to 50,000 graduate jobs in the balance. It isn’t all bad news for graduates as a number of companies declared their intention to increase their intake of UK graduates to offset a potential reduction in EU candidates. A post-Brexit UK has the ability to amend the rules on these issues. Similarly, agreements on bonus caps introduced in 2015 may also come under scrutiny. While businesses will have more flexibility to change rules and relax red tape, this is not expected to happen immediately. Despite the introduction of the National Living Wage, overall salary increases have remained around the 2% mark for some time. This may change if access to skills becomes more difficult for UK employers and a rise of average salaries could happen as a result of the leave vote. The UK currently has the second highest minimum wage in Europe after Luxembourg. A survey from CV Library found this week that around half of all job applicants accept multiple job offers, using them to negotiate a better job offer with prospective employers. Candidates can afford to be choosy when it comes to the job they want; which is why 2016 is being dubbed as “The Year of the Candidate”. If predictions of a greater talent shortage prove to be correct, employers will need to review talent attraction and retention strategies to continue to attract qualified candidates, especially in sectors where skills are already in short supply. Attention must be paid to isssues such as the candidate experience, flexible working, career development opportunities and employee engagement. Chris Clark, Chairman of IoD Jersey Branch, said “It is imperative that we now look forward to ensure that Jersey businesses can continue to thrive. What is clear is that Jersey is still very much open for business". Richard Corrigan, deputy chief executive of Jersey Finance, “Jersey’s relationship with the UK will remain unchanged: the island has had constitutional, fiscal and judicial autonomy for the last 800 years and will continue to do so". Kristina Le Feuvre, President Jersey Chamber of Commerce, "The immediate impact to Jersey’s business community is difficult to predict. Jersey is outside the EU for most purposes and the direct impact on Jersey would therefore be expected to be limited".